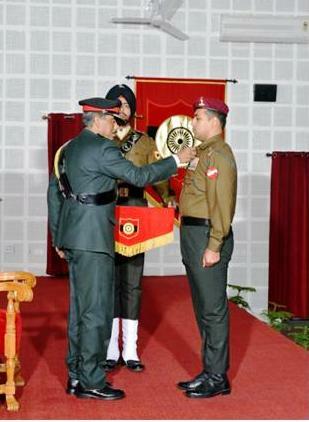 In keeping with its ethos of honouring its brave and gallant, Western Command Investiture Ceremony was held at Patiala on 14 Feb 14 during which 22 Officers, Junior Commissioned Officers and Other Ranks were presented medals for their acts of bravery, exceptional devotion to duty, and distinguished selfless service to the Nation. 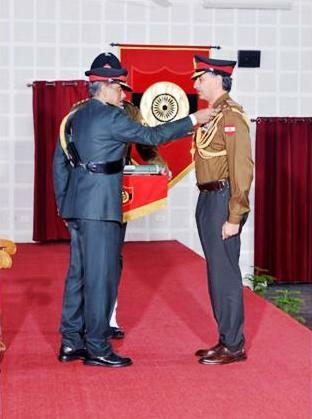 Lieutenant General Philip Campose AVSM**, VSM, General Officer Commanding-in-Chief, Western Command felicitated the awardees, which included three Yudh Seva Medals seven Sena Medals (Gallantry), one Bar to Sena Medal (Distinguished), four Sena Medals (Distinguished), one Bar to Vishisht Seva Medal and six Vishisht Seva Medals. 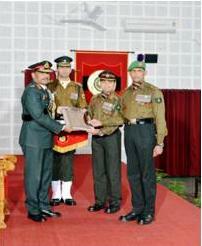 The General Officer also honoured eleven units of the Western Command with Unit Citation for their meritorious and outstanding performance. 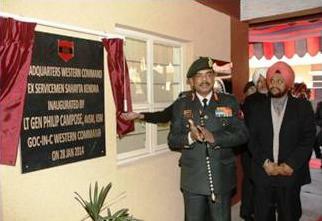 On 28 Jan 2014 Ex-Servicemen Sahayta Kendra with its Regional Centre at Headquarters Western Command was inaugurated by Lt Gen Philip Campose, AVSM**, VSM, General Officer Commanding-in-Chief, Western Command on 28 Jan 2014. 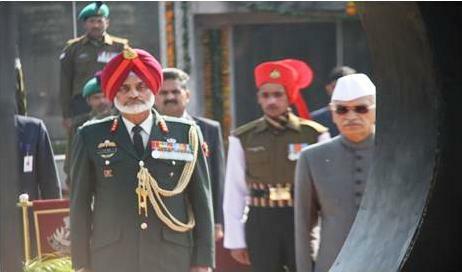 A network of such Ex-Servicemen Sahayta Kendras in the area of Western Command, which are linked to the main server at Headquarters Western Command, are also now functional and are accepting complaints from Ex-Servicemen. 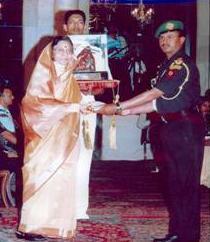 This system provides a single window facility for resolution of their problems. 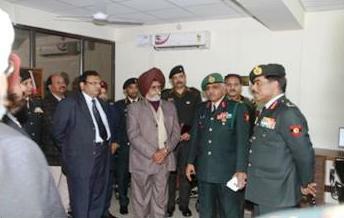 The Inauguration was attended by senior Army officers, Director Sainik Welfare Punjab, Ex-Servicemen and senior officers from State Bank of India and Punjab National Bank. 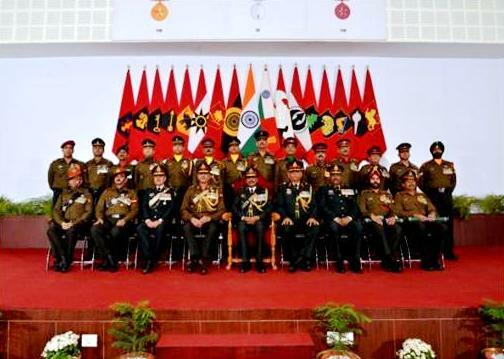 Speaking at the occasion Lt Gen Philip Campose, AVSM**, VSM, General Officer Commanding in Chief, Western Command said that this system has been put in place to act as an interface between the Ex-Servicemen and the agencies who are responsible for resolving their problems. 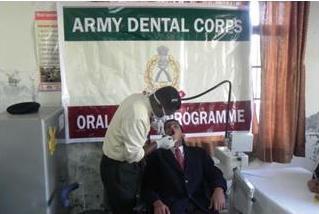 Command Medical Dental Centre observed Oral Health Week to celebrate the 73rd Raising Day of Army Dental Corps from 27 Jan 2014 to 01 Feb 2014. Students of Army Public School, Asha School, Shivalik Pre Primary School and inmates of Paraplegic Rehabilitation Centre, Mohali were screened and treated for various dental ailments. 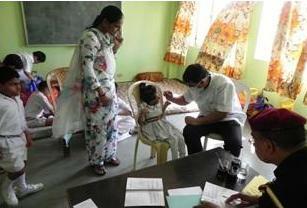 Lectures on Oral Health and Oral Cancer were also conducted for the students. 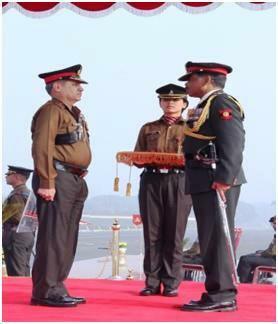 On 18 Jan 2014, to honour the sacrifice and valour of our great Army, the ‘Eternal Flame’ was lit at ‘Balidan Stambh’ Jammu, by General Officer Commanding Tiger Divison. 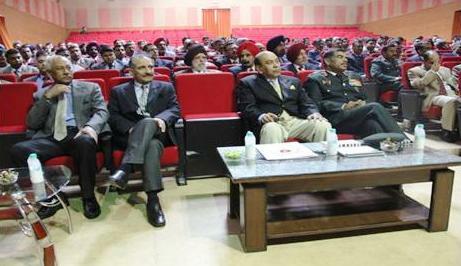 The event was attended by various Civil, Military and Police dignitaries. 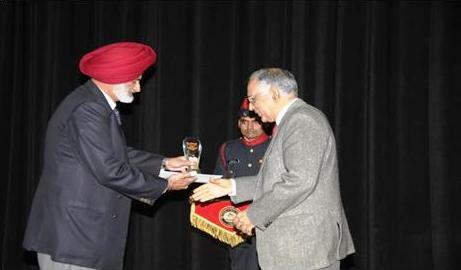 The Indian Oil Corporation and Punjab State Office, has pledged free supply of LPG for the ‘Eternal Flame’, as a mark of respect for the martyrs of the Indian Army. 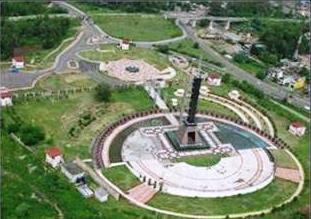 ‘Balidan Stambh’, inaugurated on 23 Nov 2009, is a beautiful Memorial which has recently been renovated. It has lush green lawns and spectacular water fountains which are lit up in the night. The Memorial is in the shape of a bayoneted rifle with its muzzle pointing skywards. 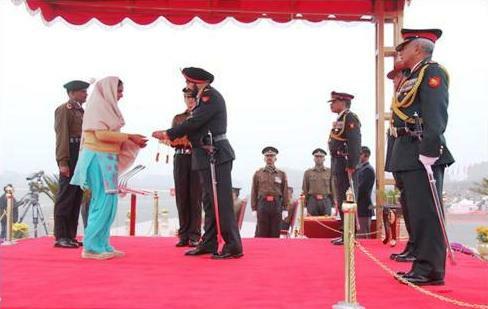 It stands out against the skyline of modern Jammu as a stylish and patriotic icon, representing the ethos and spirit of the people of Jammu. 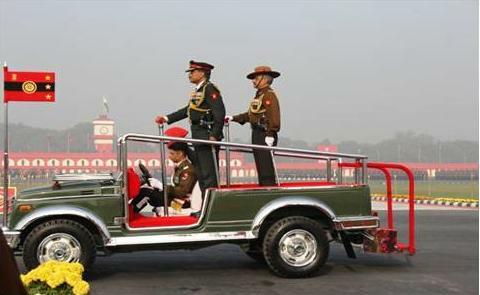 At its base is the ‘Eternal Flame’ to honour of the supreme sacrifice of the Indian soldiers in defence of the Motherland. 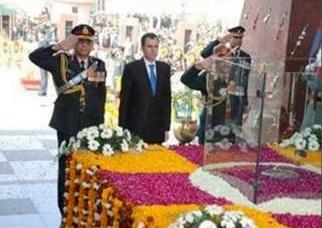 The Memorial is jointly guarded and maintained by the Army as well as Jammu and Kashmir Police. 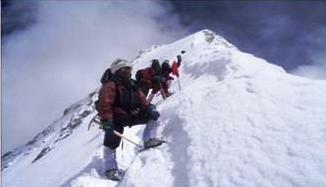 The Battalion has nine summiteers of Mount Everest in its folds. 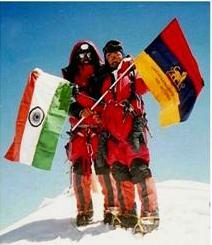 It is the only Battalion of Indian Army to have summitted a peak above 7500 meters without any external support. 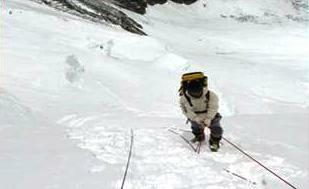 The Battalion holds the rare feat of having in its fold, the first Indian to summit six peaks above an altitude of 8000 meters. 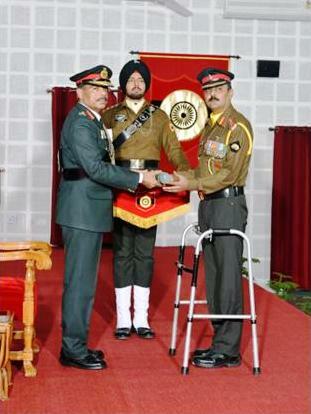 The Battalion has two recipients of Indian Mountaineering Federation Gold Medal (awarded to only one mountaineer every year). 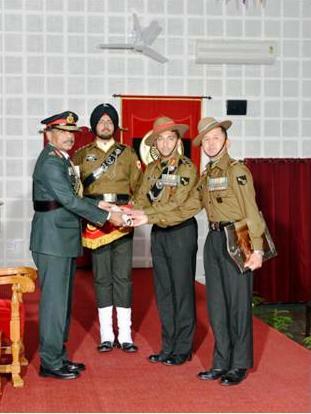 The Battalion has four out of the six recipients of Tenzing Norgay National Adventure Award (equivalent to Arjuna Award). 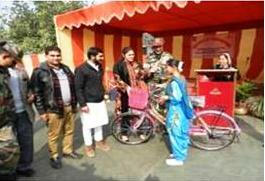 On 15 Jan 2014, as part of ‘Operation SADBHAVANA’ by the Rising Star Corps, 50 bicycles were distributed to students of Government Middle School, Dhanna, near Jammu. The aim of the event was to improve school attendance by facilitating transportation for school going children in a remote and underdeveloped area. 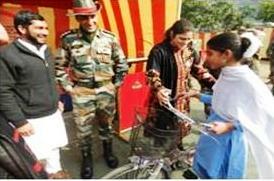 Army officials, State Education Dept officials, parents of school children and eminent village personalities were present for the event. 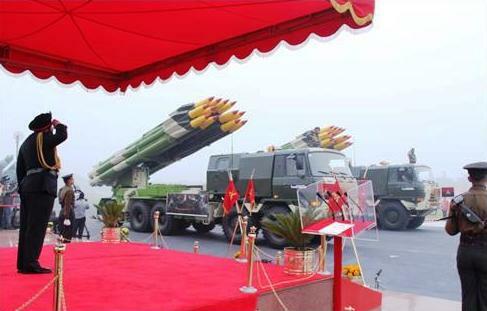 This presentation has fulfilled a long outstanding demand of the locals, many of whom are from poor financial backgrounds. 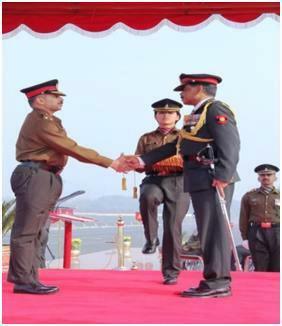 The enthusiasm and sense of expectation was clearly evident, and locals were highly appreciated this gesture of the Army which will go a long way in winning over their hearts and minds.